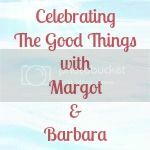 Hello and welcome to The Good Things, my weekly linky celebrating the things in life that bring happiness. Huge thank you to Stephanie and Ruthy for joining in last week, you are superstars! My Good Thing #4. Le Tour de France. I’m so glad you enjoyed Le Tour! This week, I’ve linked up an old post about my wonderful bed, which is definitely one of the good things in my life!! Really not such good news about Froome. Thank you so much for linking up and being such a champion of the linky, i really appreciate it! Hi! I’m coming to Leeds from Australia in September for 6 months. It’s a shame I missed the Tour, sounded like such a great show was put on! Can’t wait to check Leeds out.